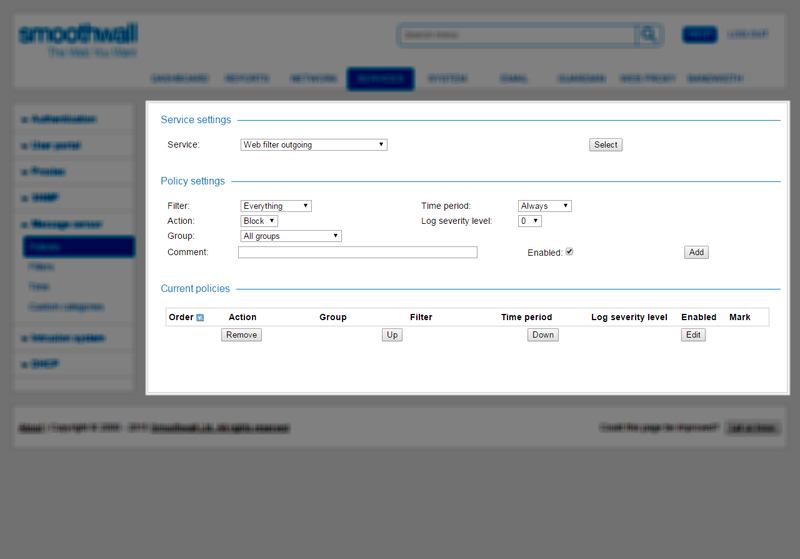 • Log severity level — Based on the log severity level, you can configure the Smoothwall System to send an alert if the policy is violated. 5. Click Add and, at the top of the page, click Restart to apply the policy. The Smoothwall System applies the policy and adds it to Current policies.